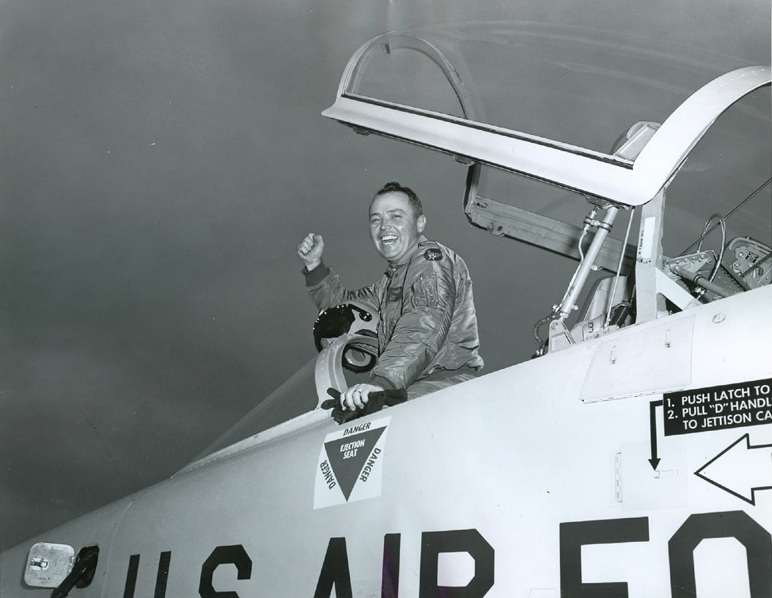 17–18 February 1962: At Edwards Air Force Base, California, Major Walter Fletcher Daniel set four Fédération Aéronautique Internationale (FAI) time-to-altitude records with a Northrop T-38A-40-NO Talon, serial number 61-0849. The T-38 was the world’s first supersonic flight trainer. The Northrop T-38A Talon is a pressurized, two-place, twin-engine, jet trainer. Its fuselage is very aerodynamically clean and uses the “area-rule” (“coked”) to improve its supersonic capability. It is 46 feet, 4.5 inches (14.135 meters) long with a wingspan of 25 feet, 3 inches (7.696 meters) and overall height of 12 feet, 10.5 inches (3.924 meters). The one-piece wing has an area of 170 square feet (15.79 square meters). The leading edge is swept 32°. The airplane’s empty weight is 7,200 pounds (3,266 kilograms) and maximum takeoff weight is approximately 12,700 pounds (5,761 kilograms). 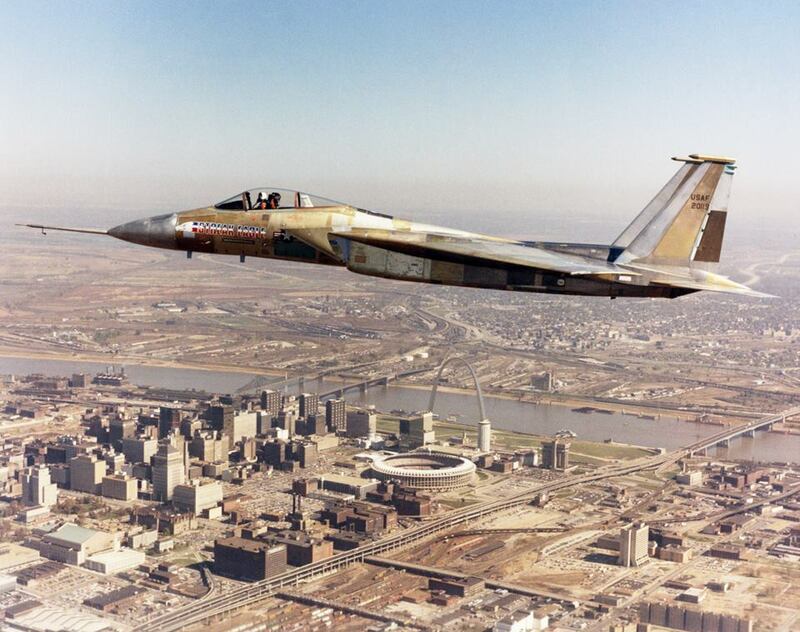 Between 1959 and 1972, 1,187 T-38s were built at Northrop’s Hawthorne, California, factory. As of 4 September 2018, 546 T-38s remained in the U.S. Air Force active inventory. The U.S. Navy has 10, and as of 30 October 2018, the Federal Aviation Administration reports 29 T-38s registered to NASA. 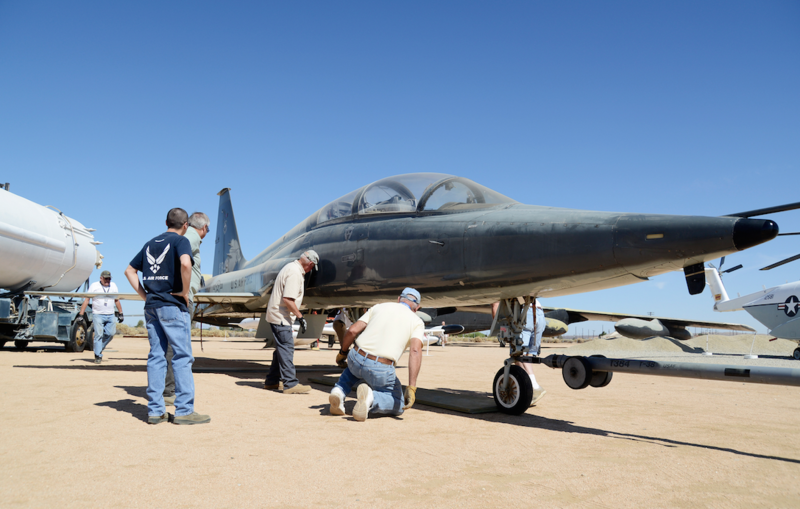 The record-setting T-38, 61-0849, was retired to The Boneyard at Davis-Monthan Air Force Base, Tucson, Arizona, in 1993. It was later removed from storage and assigned to the 415th Flight Test Flight, Randolph Air Force Base, Texas, where it remained until March 2007. It is now on display at the Air Force Flight Test Museum, Edwards Air Force Base, California. Walter Fletcher Daniel was born in 1925. He entered the U.S. Army Air Corps in 1943 and was trained as a fighter pilot. He was assigned to fly North American P-51 Mustangs and Republic P-47 Thunderbolts in post-war Germany. During the Korean War he served as a reconnaissance pilot of RF-51s and RF-80 Shooting Stars. Walter Daniel graduated from the U.S. Air Force Experimental Test Pilot School in 1954 and was assigned to Wright-Patterson Air Force Base and later Edwards Air Force Base, where he was involved in flight testing all of the Century-series fighters. 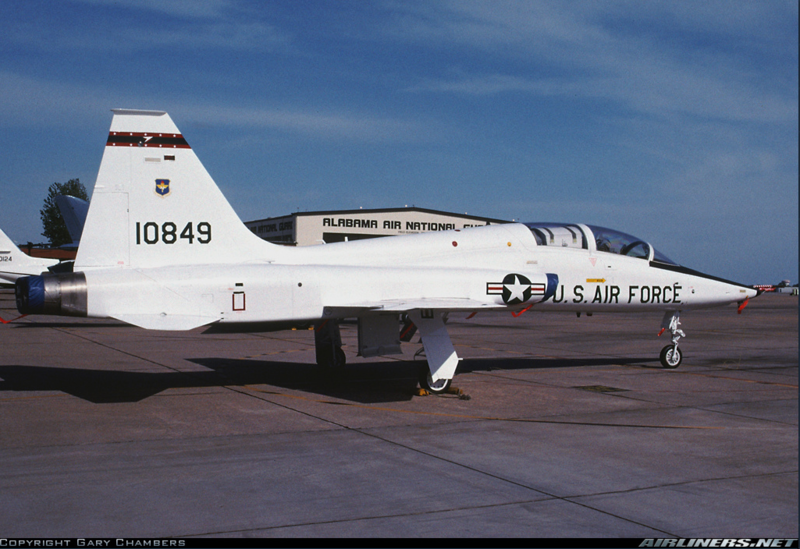 (F-100–F-106) It was while at Edwards that he flew the T-38A to set the time-to-altitude records. By 1965, Colonel Daniel was the Chief of Flight Test Operations for the Lockheed YF-12A and SR-71A Blackbird Mach 3 aircraft. On 1 May 1965, he set five world speed records and an altitude record and was awarded the Mackay Trophy. After attending the Air War College, Daniel entered combat crew training in the McDonnell F-4 and RF-4 Phantom II, and was appointed Deputy Commander for Operations of the 432d Tactical Reconnaissance Wing at Udorn RTAFB. He flew 70 combat missions over North Vietnam. In 1971 Colonel Daniel assumed command of the 75th Tactical Reconnaissance Wing (soon redesignated 67th TRW). He was promoted to brigadier general in 1972 and served as Inspector General, Air Force Systems Command. Walter Fletcher Daniel was a member of the Society of Experimental Test Pilots. A command pilot, he had flown over 6,000 hours in more than 75 different aircraft types. General Daniel died 13 September 1974 at the age of 49 years. He is buried at the Arlington National Cemetery. 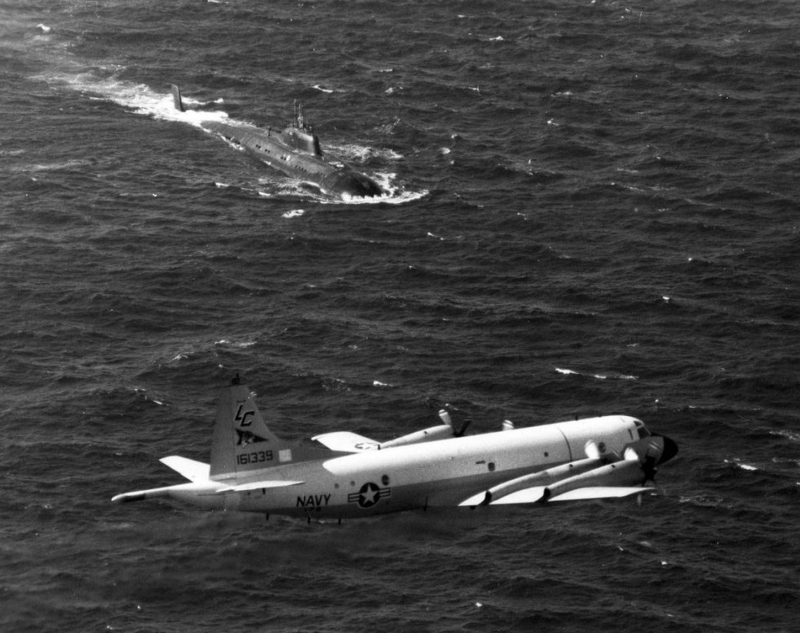 21 January–8 February 1971: A Lockheed P-3C Orion antisubmarine warfare patrol bomber, Bu. No. 156512, under the command of Commander Donald H. Lilienthal, United States Navy, took off from Naval Air Station Atsugi, Japan, at 23:30 UTC, Thursday, 21 January (8:30 a.m., 22 January, Japan Time), and flew 11,036.47 kilometers (6,857.75 statute miles), non-stop, to NATC Patuxent River, Maryland. The airplane landed at 8:51 a.m., Eastern Standard Time (13:51 UTC), Friday, 22 January. The duration of the flight was 15 hours, 21 minutes. This was a new Fédération Aéronautique Internationale (FAI) world distance record for turboprop airplanes.¹ The Orion’s course deviated around foreign airspace so the actual distance flown was 7,010 miles (11,218.5 kilometers). For the long distance flight the Orion carried a flight crew of seven: Commander Donald H. Lilienthal, Aircraft Commander; Captain R.H. Ross, Pilot; Lieutenant Commander F. Howard Stoodley, Pilot; Lieutenant R.T. Myers, Navigator; Commander J.E. Koehr, Meteorologist; Chief Aviation Machinist’s Mate K.D. Frantz, Flight Engineer; and Chief Aviation Electrician’s Mate H.A. Statti, Flight Engineer. For his record-setting flights, Commander Lilienthal was awarded the Distinguished Flying Cross. The record-setting airplane was a Lockheed Model 285A P-3C-110-LO Orion, Bu. No. 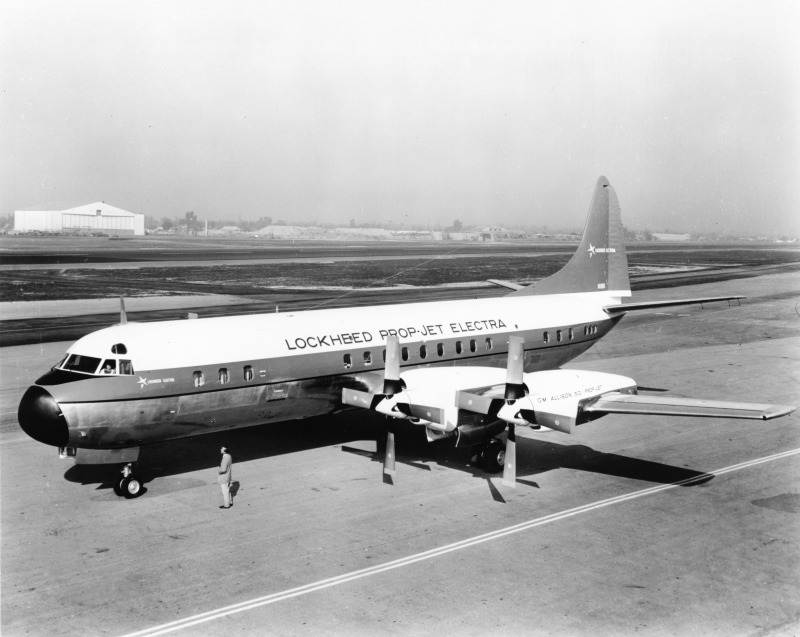 156512, LAC serial number 5506, built by the Lockheed-California Company at Burbank, California. The Orion was completed 14 August 1969. It was assigned to the Naval Air Test Center at NAS Patuxent River, Maryland. The Orion was a standard production P-3C with no engine or fuel system modifications. 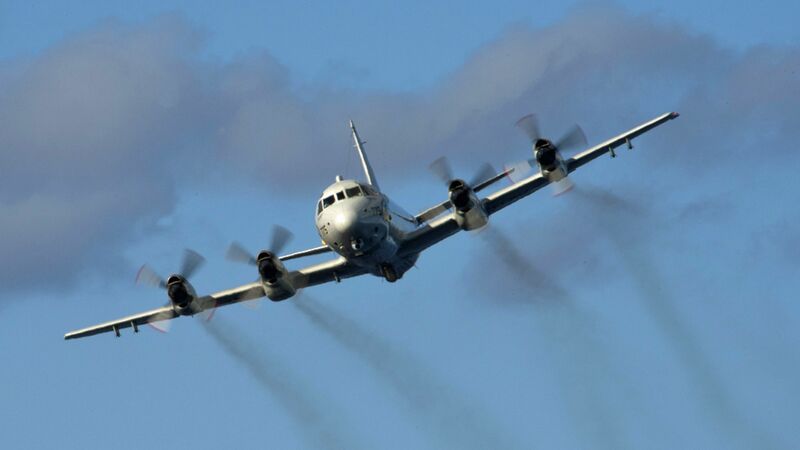 The Lockheed P-3 Orion was developed from the Model 188 Electra—a four-engine turboprop airliner which first flew in 1957—primarily as a long-range anti-submarine warfare and maritime surveillance aircraft. The P-3 has been adapted to many other missions. 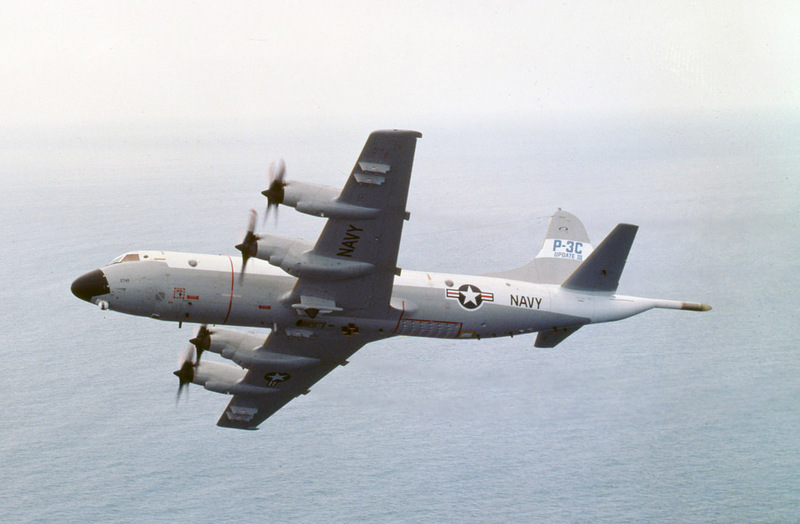 The P-3C variant in U.S. Navy service is usually operated by a crew of 11. The bomber is 116 feet, 10 inches (35.611 meters) long with a wingspan of 99 feet, 8 inches (30.378 meters) and overall height of 34 feet, 3 inches (10.439 meters). It has a zero-fuel weight of 77,200 pounds (35,017 kilograms) and a normal maximum takeoff weight of 135,000 pounds (61,235 kilograms) (Overload Takeoff: 139,780 pounds/63,403 kilograms). The P-3C is powered by four Allison T56-A-14 turboprop engines which produce 4,591 shaft horsepower at 13,820 r.p.m., each. They drive four-bladed Hamilton-Standard 54H60-77 constant-speed propellers with a diameter of 13 feet, 5¾ inches (4.109 meters) at 1,020 r.p.m. The T56-A-14 is a single-shaft axial-flow turboprop engine, with a 14-stage compressor section, six combustors, and a 4-stage turbine. The engine is 12 feet, 2.3 inches (3.716 meters) long, 4 feet, 1.0 inches (1.245 meters) in diameter and weighs 1,885 pounds (855 kilograms). 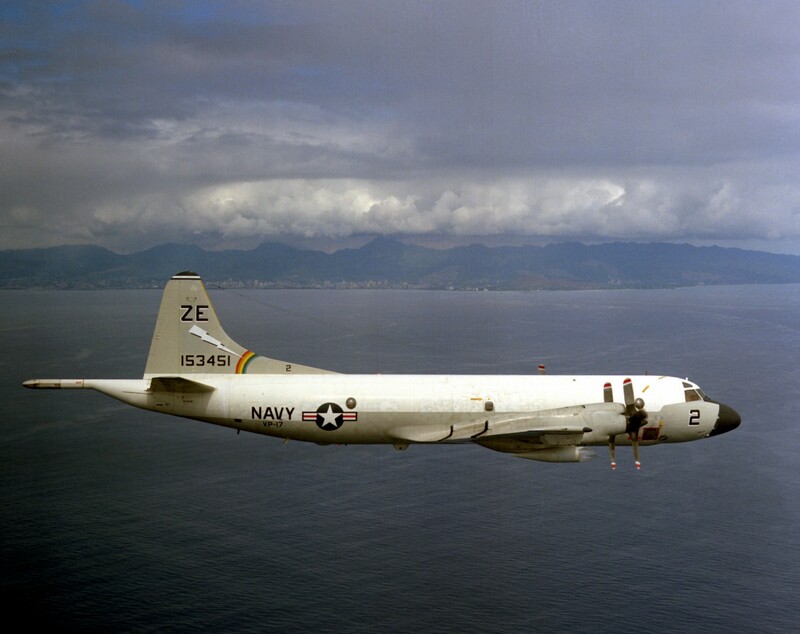 The P-3C can remain airborne for 16 hours. There is a wide variety of sensors board the P-3. Sonobuoys can be dropped from the belly. A Magnetic Anomaly Detector, the “MAD boom” is mounted at the tail of the aircraft. The Orion caries no defensive weapons. It can carry bombs, depth charges, torpedoes, mines, air-to-surface and anti-ship missiles, and nuclear weapons. More than 750 P-3 Orions and its variants were built by Lockheed and licensee Kawasaki Heavy Industries between 1961 and 1996. In addition to the U.S. Navy and various Federal government agencies, the Lockheed P-3 Orion remains in service worldwide with more than twenty countries. 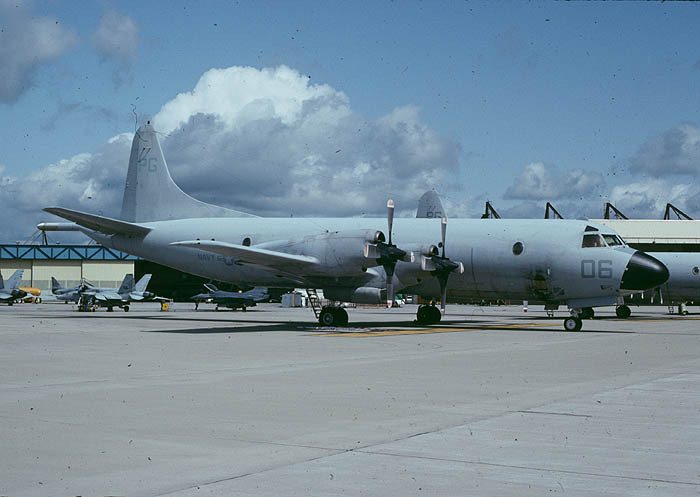 Lockheed P-3C-110-LO Orion Bu. No. 156512 served as a test aircraft at Patuxent River until 15 July 1974. It was then assigned to VP-31 where it remained for over nine years, carrying the squadron identification marking RP and the numeral 9. It later served with VP-9, VP-46, VP-65, VP-16 and finally, VP-45. 156512 was placed in long-term storage at Davis-Monthan Air Force Base, Tucson, Arizona, in 1995, and was scrapped in 2004. Donald Herman Lilienthal was born 6 February 1931 at Pope, Minnesota. He was the fourth child of Frederick R. Lilienthal, a steam railway worker, and Bertha Camille Metlie Lilienthal. He attended Glenwood High School, Glenwood, Minnesota, graduating in 1949. 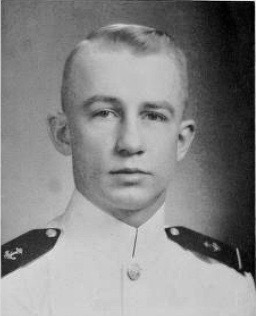 He then studied mathematics at the University of Minnesota, before accepting an appointment as a midshipman at the United States Naval Academy at Annapolis, Maryland, in 1951. Midshipman Lilienthal graduated from Annapolis and was commissioned an ensign, United States Navy, 3 June 1955. He was then trained as a pilot. Later, he graduated from the United States Naval Test Pilot School at NAS Patuxent River, Maryland. In June 1958, Lieutenant (j.g.) Lilienthal married Miss Jeanne L. Murphy, in Duval County, Florida. They had three children, Karen, John and Donald, Jr. They divorced in March 1975. Lieutenant (j.g.) Lilienthal was promoted to the rank of lieutenant 1 July 1959, and to lieutenant commander, 1 July 1964. He advanced to commander on 1 July 1969. 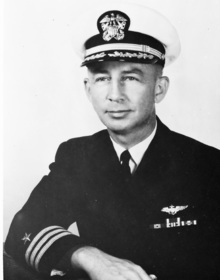 Commander Lilenthal retired from the United States Navy in December 1975 after 20 years of service as an antisubmarine warfare pilot and test pilot. He later worked as a consultant to the aviation industry. Commander Lilienthal married Mrs. Jimena Rosa Goich Recavrren, a widow, in Arlington, Virginia, 17 September 1982. They divorced 3 December 1993 in Fairfax, Virginia. Commander Donald Herman Lilienthal, United States Navy (Retired) passed away at Loudon, Virginia, 21 August 2014 at the age of 83 years. He is buried at Arlington National Cemetery, Arlington, Virginia. 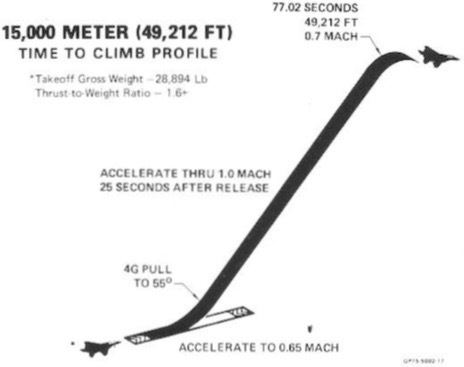 4–9 February 1982: Sikorsky test pilots Nicholas D. Lappos, William Frederick Kramer, Byron Graham, Jr., David R. Wright, and Thomas F. Doyle, Jr., set a series of Fédération Aéronautique Internationale (FAI) speed, time-to-climb and sustained altitude world records while flying a Sikorsky S-76A helicopter, serial number 760178, FAA registration N5445J, at Palm Beach, Florida. 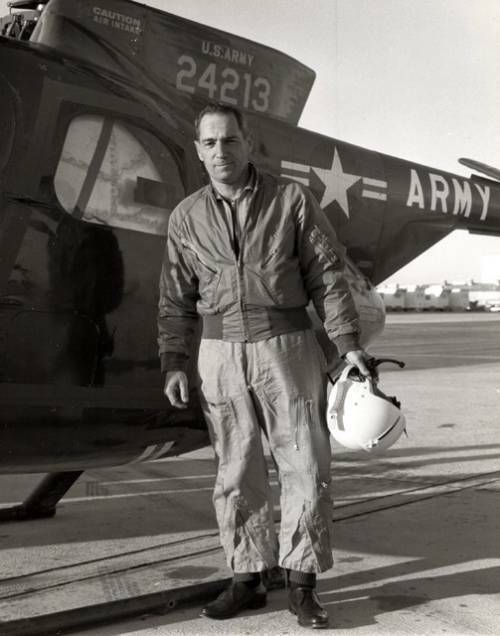 On 4 February, Nick Lappos, who had made the first flight with the prototype S-76 nearly five years earlier, set a record of 335,50 kilometers per hour (208.47 miles per hour) over a 3-kilometer course (FAI Record File Number 1261, Class E-1d), and 342,61 km/h (212.89 m,p,h.) over a straight 15/25 kilometer course (1262). Flying in the E-1e class for heavier helicopters, Billy Kramer ¹ flew both the 3 kilometer and 15/25 kilometer course at an average 340,48 km/h (211.56 m.p.h.) (1828, 1829). On 5 February, Byron Graham, Jr.,² flew the S-76A to 3,000 meters (9,843 feet) in 3 minutes, 11 seconds (1819); to 6,000 meters (19,685 feet) in 8 minutes, 37.3 seconds (Class E-1d, 1821); and a sustained altitude of 7,940 meters (26,050 feet) in level flight (Class E-1D, 9947). 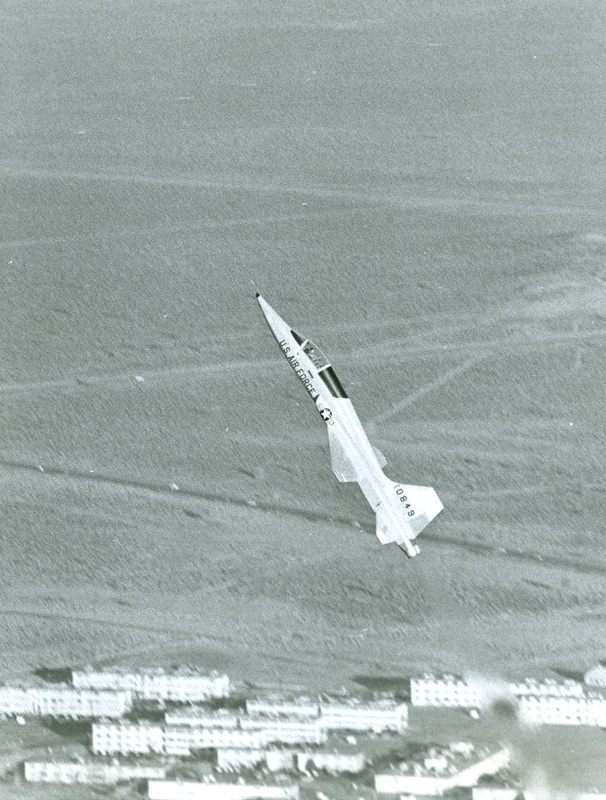 On 6 February, David R. Wright averaged 331,22 km/h (205.81 m.p.h.) over a 100 kilometer closed circuit without payload (Class E-1d, 1264), and 334,69 kilometers per hour (207.97 m.p.h.) over a closed circuit of 100 kilometers without payload (Class E-1e, 1265). 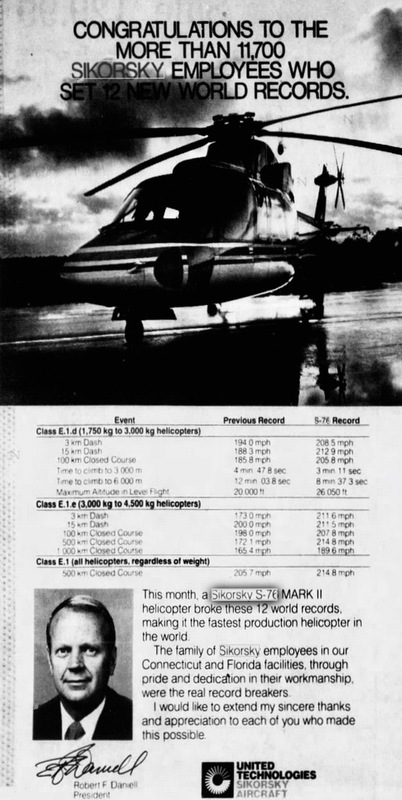 After taking a day off, the Sikorsky S-76A was back in the air on 8 February, this time with Thomas F. Doyle, Jr., flying the helicopter over the 500 kilometer closed circuit, without payload. The Sikorsky averaged 345,74 km/h (214.83 m.p.h.) (Class E-1, 1844, E-1e, 1845). This was also an Absolute World Speed Record for helicopters (Class E, 11660). On the last day of the series, 9 February 1982, David R. Wright was back in the cockpit of N5445J. Flying the 1,000 kilometer closed circuit without payload, the S-76A averaged 305, 10 km/h (189.58 m.p.h.) (Class E-1e, 1827). 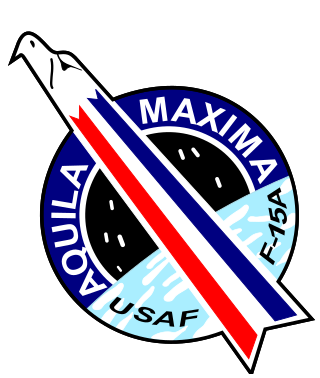 After 37 years, nine of these twelve Fédération Aéronautique Internationale world records still stand. N5445J was owned by Rodgers Helicopter Service, Kearney, Nebraska, and operated as an air ambulance by Good Samaritan AirCare until its U.S. registration was cancelled, 10 July 2006. Fire-damaged Sikorsky S-76A, serial number 760178, registration PR-IME, at Macaé Airport, Rio de Janeiro, Brasil, 29 December 2008. The record-setting helicopter eventually found its way to Rio de Janeiro, Brazil. Owned and operated by Atlas Taxi Aereo, 760178 had been re-registered as PR-IME and was transporting Petrobras employees to offshore oil production platforms. At approximately 8:30 a.m., 29 December 2008, PR-IME had departed Macaé Airport enroute Platform P-12 in the Campos Basin with 7 persons on board. Shortly after takeoff, the flight crew observed an AC generator caution light and returned to the airport. Before landing, a fire warning light also illuminated. Upon landing on Runway 24, all seven escaped from the burning helicopter without injury. 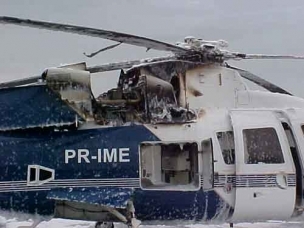 The fire was quickly extinguished, but the Sikorsky S-76A was substantially damaged. The Sikorsky S-76A is a twin-engine intermediate class helicopter that can be configured to carry 6 to 12 passengers. It is used as an executive transport, a scheduled passenger airliner, utility transport, search and rescue aircraft and air ambulance. The helicopter is certified for instrument flight and has retractable tricycle landing gear. The prototype was rolled out at Stratford, Connecticut on 11 January 1977 and the first flight took place on 13 March. It was certified in 1978 and the first production aircraft was delivered to Air Logistics, 27 February 1979. The S-76A is 52 feet, 6 inches (16.00 meters) long with rotors turning. The fuselage has a length of 43 feet, 4.43 inches (13.219 meters) and a width of 8 feet (2.44 meters). The helicopter’s overall height is 14 feet, 5.8 inches (4.414 meters). The four bladed composite main rotor is 44 feet (13.41 meters) in diameter. The blades are attached to a one-piece forged aluminum hub and use elastomeric bearings. 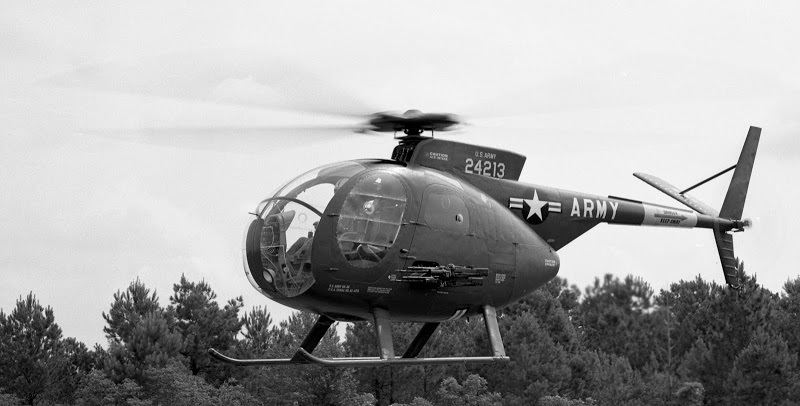 As is customary with American helicopters, the main rotor turns counter-clockwise as seen from above. (The advancing blade is on the right.) 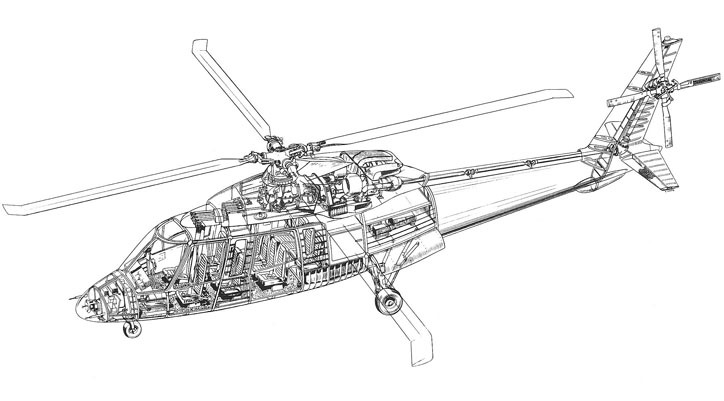 The four-bladed tail rotor has a diameter of 8 feet (2.438 meters) and turns clockwise as seen from the helicopter’s left. (The advancing blade is below the axis of rotation.) It is mounted in a pusher configuration on the left side of the tailboom. The tail rotor is constructed of composite airfoils mounted to graphite spars. 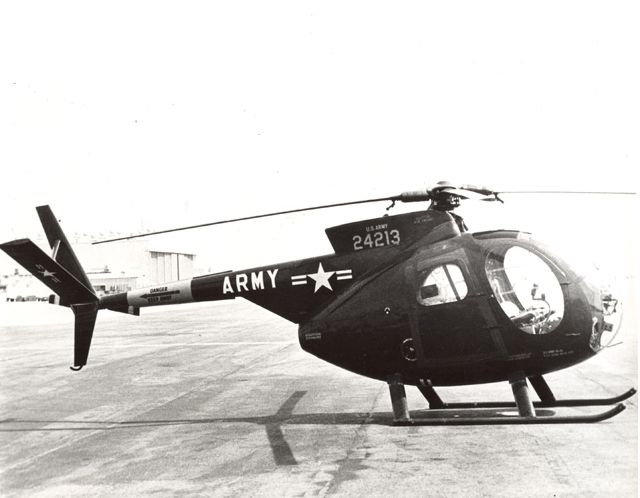 The S-76A was equipped with two Allison 250-C30 turboshaft engines rated at 557 shaft horsepower, each. Subsequent variants have been built with Turbomeca Arriel 1S and 2S engines, as well as Pratt & Whitney PT6B-3A and PW210S engines. The S-76 has an empty weight of 7,007 pounds (3,178 kilograms). 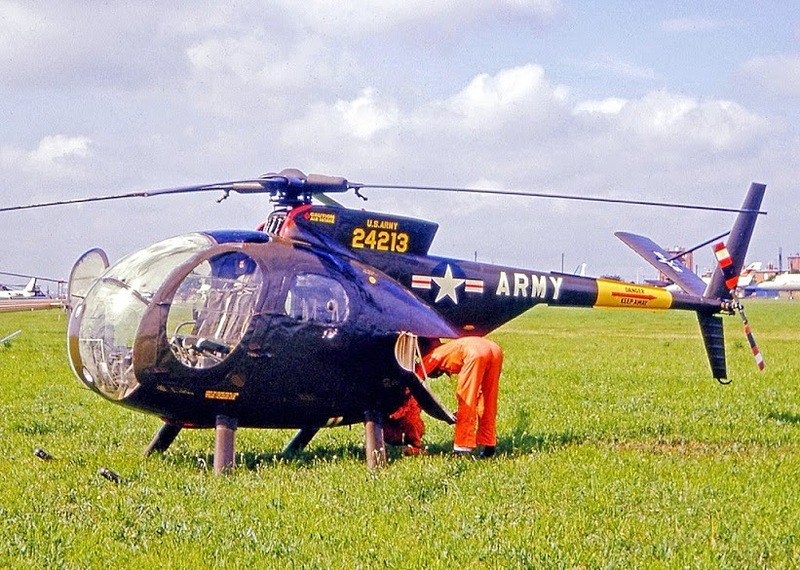 The S-76A maximum gross weight was 10,500 pounds (4,763 kilograms). Beginning with the S-67B, this was increased to 11,700 pounds (5,307 kilograms). 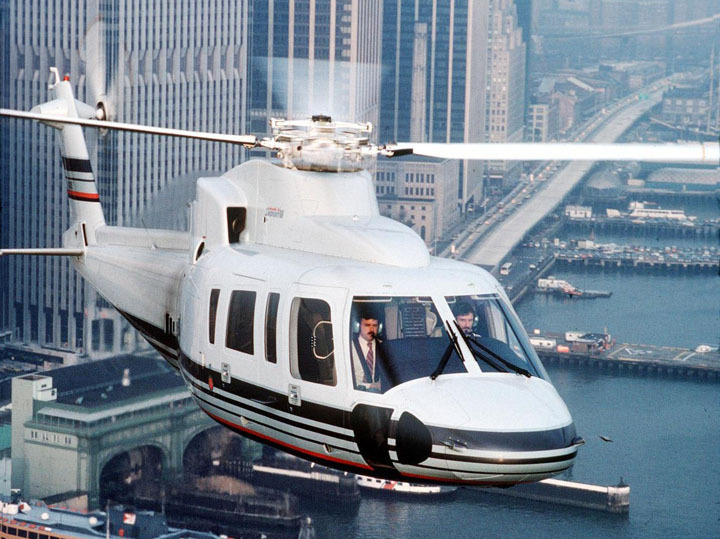 The Sikorsky S-76 has a maximum cruise speed of 155 knots (287 kilometers per hour). It can hover in ground effect (HIGE) at 7,050 feet (2,149 meters) or out of ground effect (HOGE) at 3,300 feet (1,006 meters). The service ceiling is 13,800 feet (4,206 meters). The helicopter was designed with offshore oil support as a major consideration. It was intended to carry 2 pilots and 12 passengers 400 nautical miles (460 statute miles, or 741 kilometers). Maximum range with no reserve is 411 nautical miles (473 statute miles/762 kilometers). 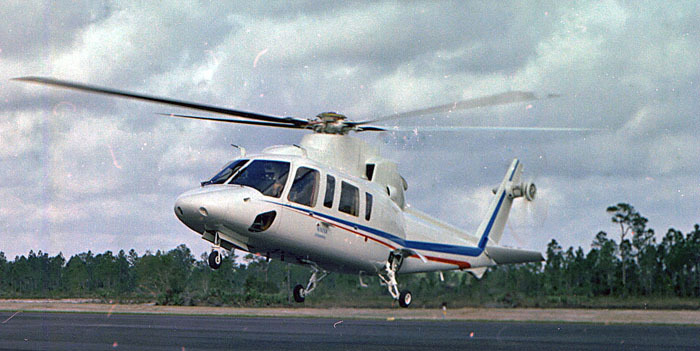 Sikorsky built 307 S-76As. More than 850 of all variants have been built. The current production model is the S-76D. Sikorsky Aircraft Corporation advertisement in The Post, West Palm Beach, Florida, Vol. XLIX, No. 9, Sunday, 28 February 1982, Page A12, columns 1–3. ¹ William F. Kramer was killed in the crash of a Sikorsky S-76B, N5AZ, near Sutton, Massachusetts, 6 June 1986. 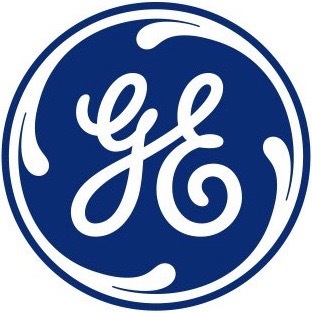 Also killed were another company test pilot, Ronald W. Kuhrt, son of Wesley A. Kuhrt, a former Sikorsky president; William F. Gilson; and Richard C. Elpel. The aircraft had been flying a group associated with King Hussein of Jordan. At the time, sabotage was considered a possibility. The NTSB investigation was unable to determine a probable cause. ² Byron Graham, Jr., a former U.S. Marine Corps officer, along with Lieutenant Colonel Robert P.Guay, performed as series of loops and rolls with a Sikorsky CH-53A Sea Stallion, 23 October 1968. 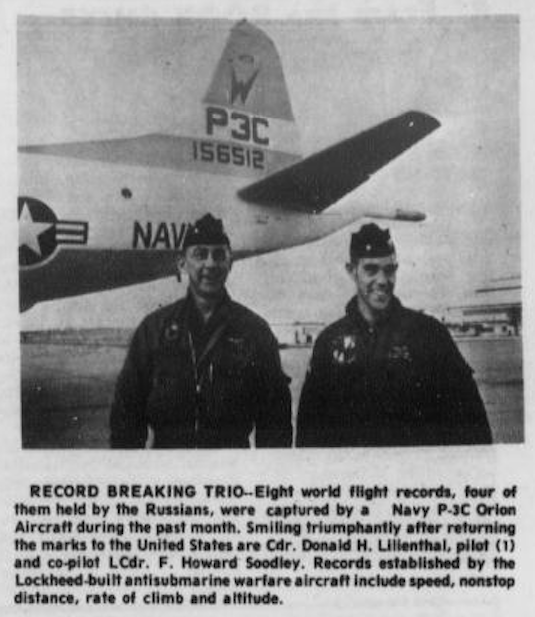 16 January 1975: Three United States Air Force pilots, Majors Roger J. Smith, William R. MacFarlane and David W. Petersen, test pilots assigned to the F-15 Joint Test Force at Edwards Air Force Base, California, set five Fédération Aéronautique Internationale (FAI) time-to-altitude records in one day, flying this unpainted McDonnell Douglas F-15A-6-MC Streak Eagle, serial number 72-0119, from Grand Forks Air Force Base, North Dakota. The airfield’s elevation is 913 feet (278 meters) above Sea Level. Smith took the first record: from brake release to 3,000 meters (9,843 feet) in 27.571 seconds. The next three belonged to MacFarlane: 6,000 meters (19,685 feet), 39.335 seconds; 9,000 meters (29,528 feet), 48.863 seconds; and 12,000 meters (39,370 feet), 59.383 seconds. The last record for the day went to Peterson, who reached 15,000 meters (49,213 feet) in 1 minute, 17.042 seconds. Over the next two weeks they took the Streak Eagle even higher. On it’s left vertical fin is painted AQUILA MAXIMA. This airplane is in storage at the National Museum of the United States Air Force. Streak Eagle is a very early production F-15A-6-MC Eagle, a single-seat, twin-engine air superiority fighter. It is 63 feet, 9.0 inches (19.431 meters) long with a wingspan of 42 feet, 9.7 inches (13.048 meters) and overall height of 18 feet, 5.4 inches (5.624 meters). The F-15A has an empty weight of 25,870 pounds (11,734 kilograms) and its maximum takeoff weight (MTOW) is 44,497 pounds (20,184 kilograms). 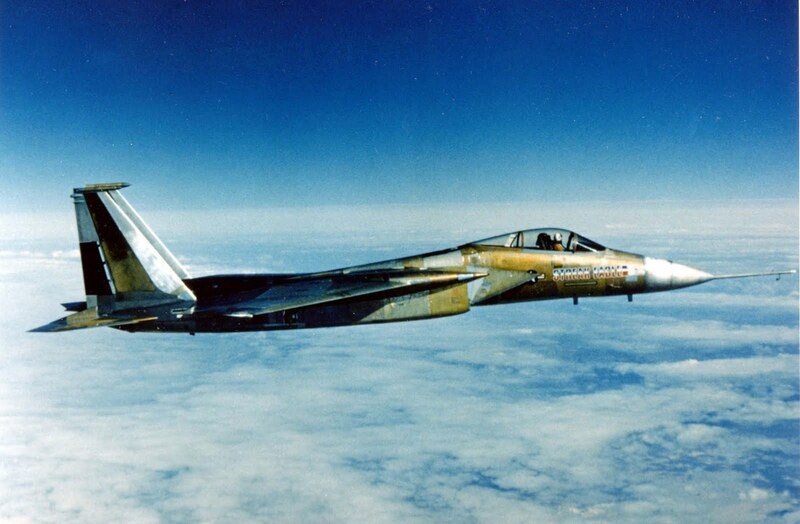 The F-15A is powered by two Pratt & Whitney JTF22A-25A (F100-PW-100) afterburning turbofan engines. The F100 is a two-spool, axial-flow turbine engine with a 3-stage fan section; 10-stage compressor; single chamber combustion section; and 4-stage turbine (2 low- and 2 high-pressure stages). The engine has a Maximum Continuous Power rating of 12,410 pounds of thrust (55.202 kilonewtons); 14,690 pounds (65.344 kilonewtons, 30-minute limit; and a maximum 23,840 pounds (106.046 kilonewtons), 5-minute limit. 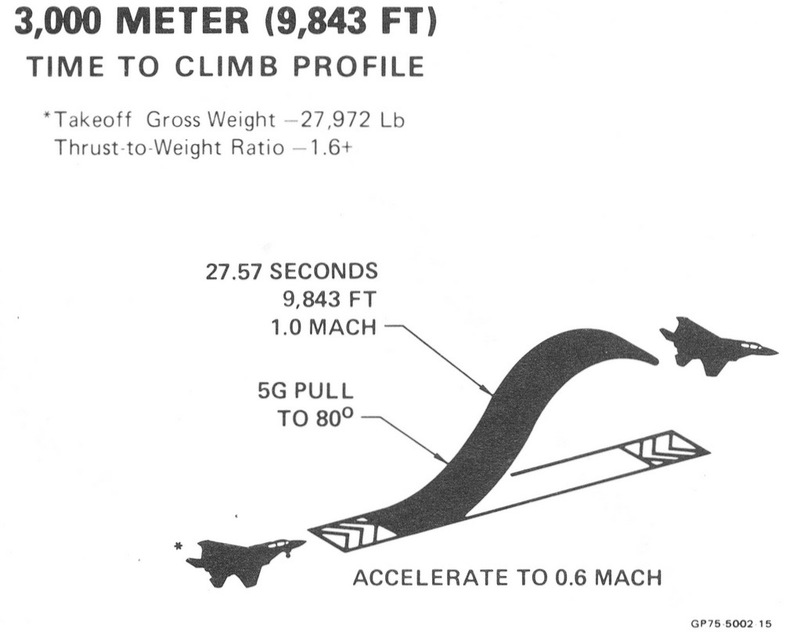 The F100-PW-100 is 191 inches (4.851 meters) long, 46.5 inches (1.181 meters) in diameter, and weighs 3,035 pounds (1,376.7 kilograms). The cruise speed of the F-15A Eagle is 502 knots (578 miles per hour/930 kilometers per hour). It has a maximum speed of 893 knots (1,028 miles per hour/1,654 kilometers per hour) at 10,000 feet (3,048 meters), and 1,434 knots (1,650 miles per hour/2,656 kilometers per hour) at 45,000 feet (13,716 meters). The ceiling is 63,050 feet (19,218 meters) at maximum power. It can climb at an initial 67,250 feet per minute (342 meters per second) from Sea Level, and with a thrust-to-weight ratio of 1.15:1, The F-15 can climb straight up. The Eagle’s combat radius is 638 nautical miles (734 statute miles/1,182kilometers). The F-15A is armed with one General Electric M61A1 Vulcan 20mm rotary cannon with 938 rounds of ammunition, four AIM-7 Sparrow radar-guided missiles and four AIM-9 Sidewinder heat-seeking missiles. 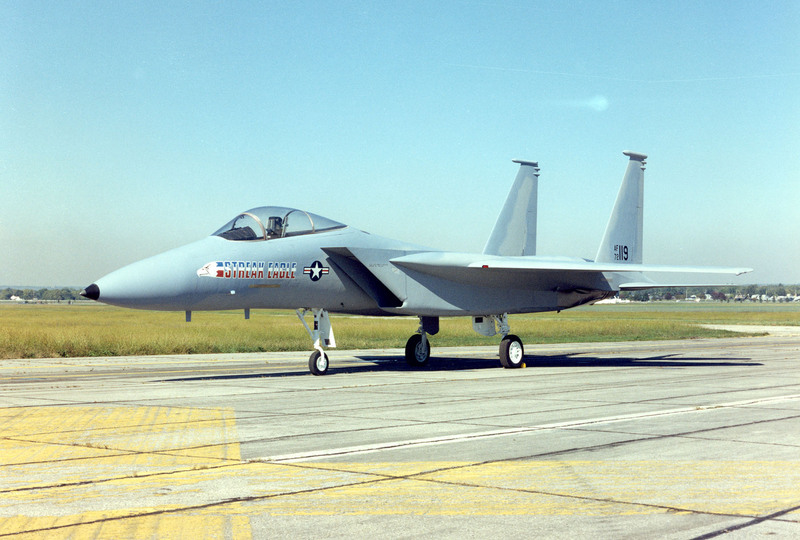 384 F-15A Eagles were built before production shifted to the improved F-15C version. As F-15Cs became operation, the F-15As were transferred to Air National Guard units assigned to defend continental U.S. airspace. 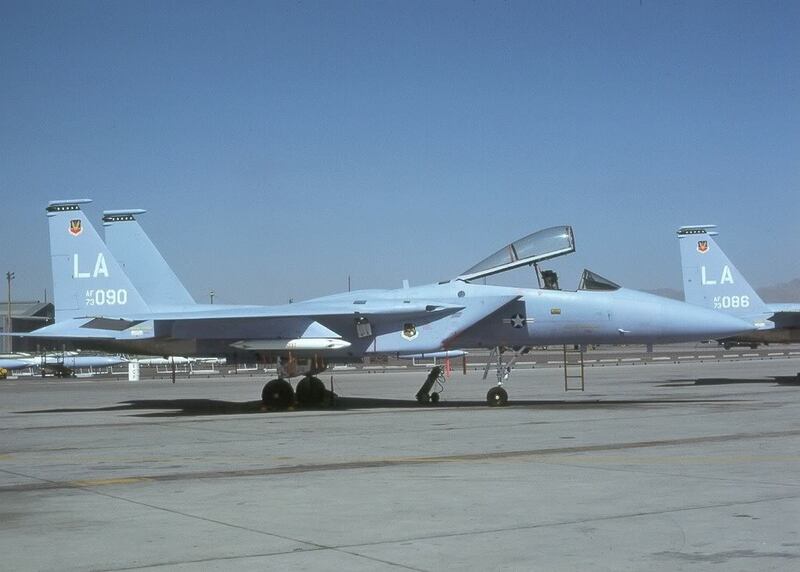 The last F-15A was retired from service in 2009. 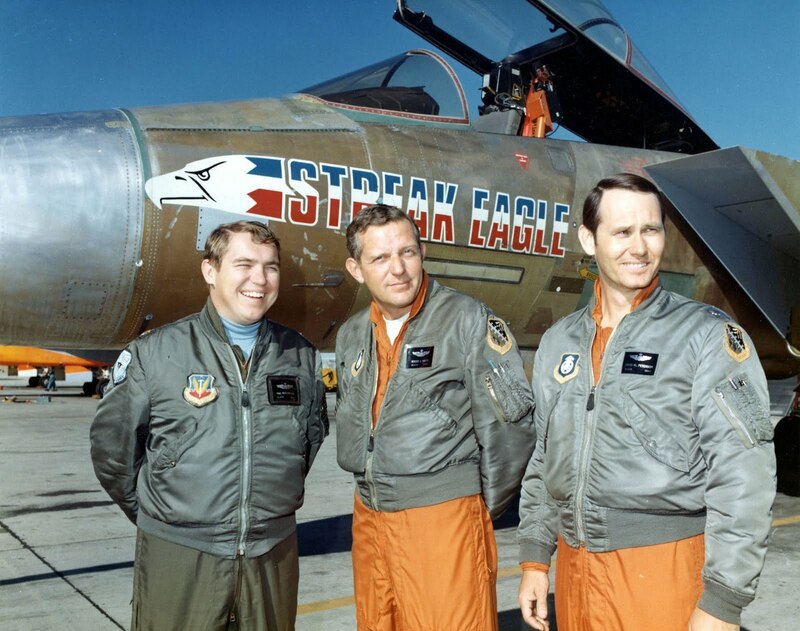 Streak Eagle was specially modified by McDonnell Douglas for the record attempts. Various equipment that would not be needed for these flights was eliminated: The flap and speed brake actuators, the M61 cannon and its ammunition handling equipment, the radar and fire control systems, unneeded cockpit displays and radios, and one generator. Other equipment was added: An extended pitot boom was mounted at the nose with alpha and beta vanes; equipment for the pilot’s David Clark Company A/P-225-6 full pressure suit; extremely sensitive accelerometers and other instrumentation; extra batteries; an in-cockpit video camera aimed over the pilot’s shoulder; and perhaps most important, a special hold-back device was installed in place of the fighter’s standard arresting hook. These changes resulted in an airplane that was approximately 1,800 pounds (817 kilograms) lighter than the standard production F-15A. This gave it a thrust-to-weight ratio of 1.4:1. 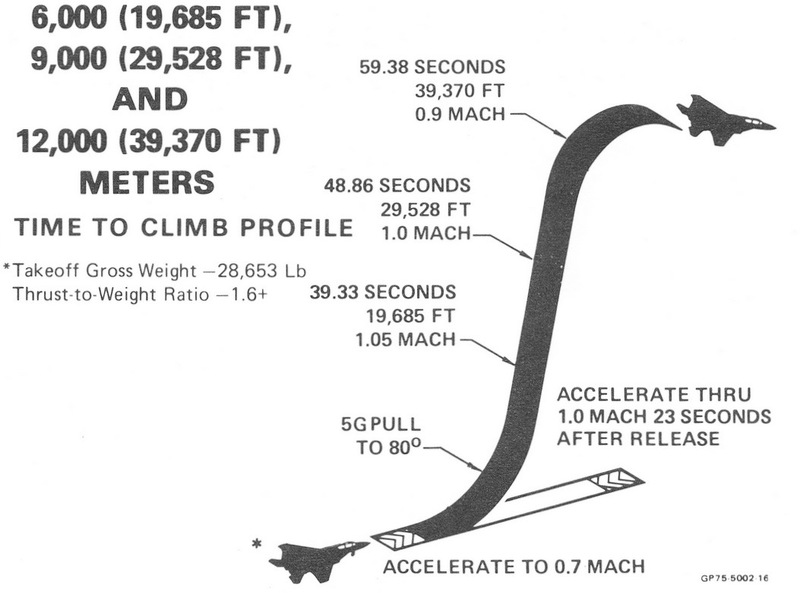 The flight profiles for the record attempts were developed by McDonnell Douglas Chief Developmental Test Pilot, Charles P. “Pete” Garrison (Lieutenant Colonel, U.S. Air Force, Retired). Streak Eagle carried only enough fuel for each specific flight, and weighed from 27,972 to 31,908 pounds (12,688 to 14,473 kilograms). It was secured to the hold-back device on the runway and the engines were run up to full afterburner. It was released from the hold-back and was airborne in just three seconds.